The August announcement builds upon DOL’s June 2017 statement that it would reinstate the issuance of opinion letters — a longstanding practice of DOL before it was eliminated during the Obama administration and replaced with broader “Administrator Interpretations”— and the January 2018 reissuance of 17 opinion letters drafted at the end of the Bush administration yet withdrawn by the Obama administration before they could be mailed. The employer allows (does not require as it is completely voluntary) its employees to participate in biometric screenings which test such things like an employee’s cholesterol level, blood pressure and nicotine usage, as the participation in such screening could reduce the individual employee’s insurance deductibles. 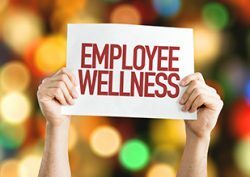 The employer also allows employees to participate in wellness activities that may reduce an employee’s insurance premiums. These activities can include attending health classes, participating in Weight Watchers and using the employer-provided gym; however [these activities] are completely voluntary and do not relate to the employee’s job. Finally, the employer also allows employees to attend benefits fairs to learn about topics like employer-provided benefits and financial planning. Again, employees’ attendance at the fairs is entirely optional, open to all employees and not related to the employees’ jobs. DOL encourages the public to submit requests for opinion letters to WHD using this website and reminds the public that the request must state that the opinion is not sought by a party in a WHD investigation or for use in any litigation that was initiated prior to the submission of the request.